The Go Mom's Blog | HP Great Printer Giveaway Results! HP Great Printer Giveaway Results! 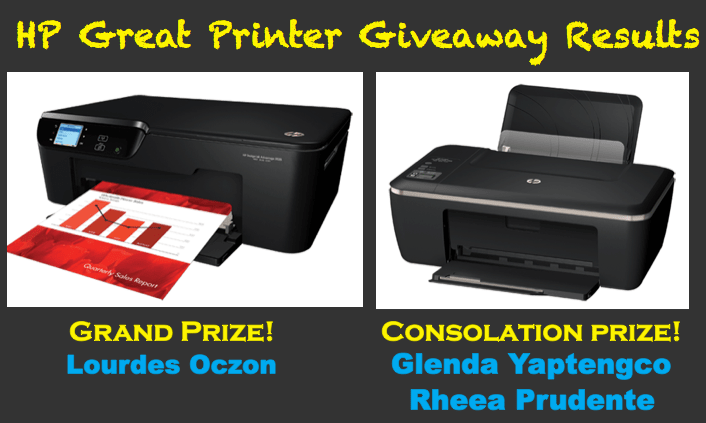 Last April 29, HP Philippines through TheGoMom hosted the Great Printer Giveaway Promo. 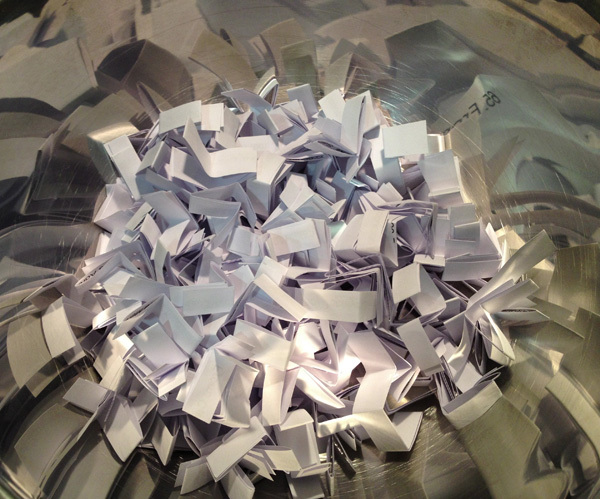 207 entries poured in and everyone is ready for an upgrade to an HP Ink Advantage Printer. Entries mostly came from parents who want an upgrade so homework time is easier and prints are better. While some came from the students themselves who are tired of keeping up with their problematic printers or who have to put up with going to the printer because they don't have a printer at home. Some people want an upgrade for basic reasons like they want HP's 4 in 1 feature. Others want it because they are having problems with their old computers from expensive ink to constant paper jams. Others want it simply out of pure desire for HP's high tech features like wireless printing, back to back printing and web connectivity. The reasons are all good and since it would be so hard to choose from all the good and valid reasons, I decided to cast it in a lot and chose the 3 names from there. To Lourdes Oczon, Glenda Yaptengco and Rheea Hermoso-Prudente! Congratulations!!!!! An HP Representative will get in touch with you for prize claim details. I'm soooo happy for your guys! Hope the whole family will love the new HP Printer. Don't forget to go to HP Philippine's Facebook site for creative printable activities. Tinker with it, explore it and have an easier time with it! To HP Philippines and their PR Agency, EON Phillippines, thank you very much for giving TheGoMom the opportunity to host this giveaway for TheGoMom readers. With you in this Happy Chaos called Parenting! 3 Days to Go Before CHRISTmas 2015! Wohoo! I’m soo happy! 🙂 I’ve been longing to replace our old HP D2660 printer. So sweet to have it for free and having the grand prize that is! Now there’s more printing, scanning and copying to do’s in my list now. I’ll blog about the experience and share it here too. Again, thanks GoMom and HP Philippines for hosting the giveaway!